Teamwork and stamina are the keys, as you and your partner battle your way through the Title Matches on your quest for the Belt. Attack your opponents with Body Slams, Drop Kicks, Backbreakers, Flying Head Butts, or even throwing them out of the ring! To win, its a pin for a count of three. Nothing can match the super excitement as the crowd cheers over this mania on the mat. 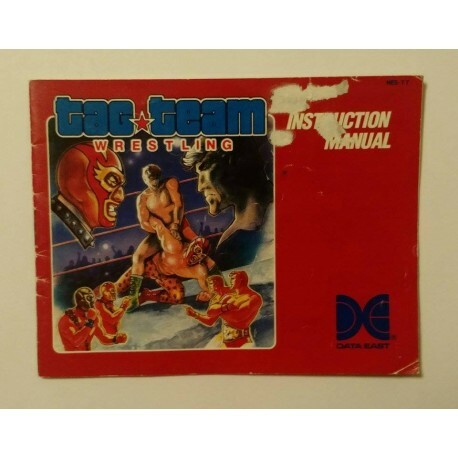 Prepare yourself for Tag Team Wrestling! DATA EAST BRINGS YOU ARCADE REALISM AT HOME!